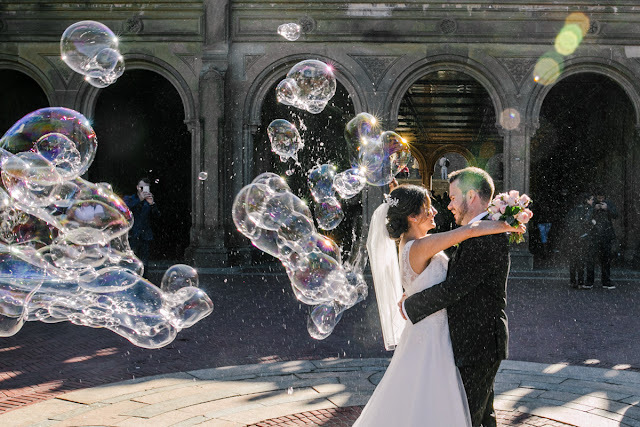 Paying for a good wedding photographer can make a major dent in your wedding budget and for good reason — your wedding photos will be one of the most cherished and important pieces after your wedding is over and they'll stick with you and your husband as wonderful memories for years and years to come. So it's important to realize that just because you're on tight budget, that doesn't mean you have to sacrifice the wedding photos of your dreams. The most important thing to do when reaching out to wedding photographers is to be up-front about your budget. Many photographers post packages with set prices on their website, while some prefer to give you a custom quote. Usually, they'll tweak a package to suit your needs and your budget. But if the price is fixed, try negotiating: Choose a less expensive package and ask to have extras thrown in, like an engagement shoot or a canvas print. You can also send your shooter home early to save (smart-phone pics can cover the rest of the reception) or wait on albums and prints (e.g., buy them after the wedding when your bank account has recovered, or use a service to print independently). One thing to remember is that even if the pro you want is expensive, it may be worth the cost: Flowers wilt, but photos last. 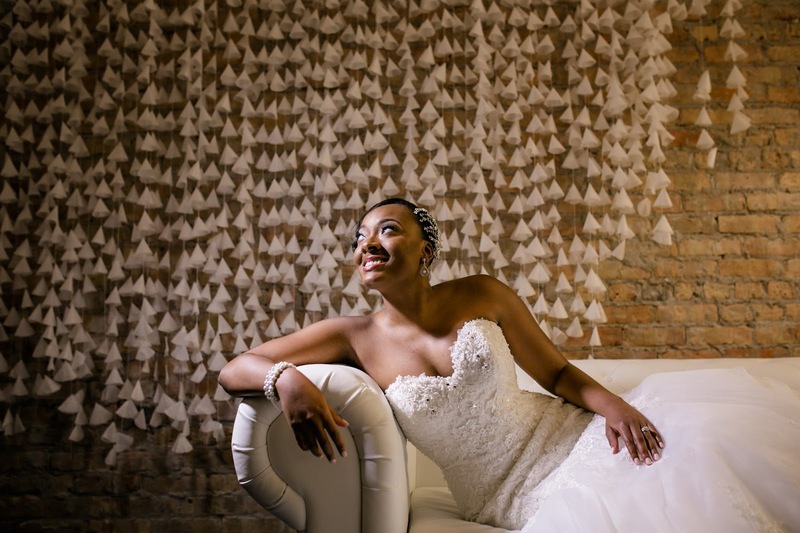 Still trying to stretch your budget to get that dream photographer? Try these four ways to save a few extra dollars. Photographers have to work Saturdays during high season (May to October) to maintain their income. But a Friday or a Sunday? That's gravy for most, so you can often score a deal. Reviews are the main way wedding photographers attract new clients. Promise to talk her up on bridal listing sites in exchange for a discount. There's a lag between when you book and when you pay the full fee. See if she'll shrink the bill if you hook her up with referrals in the interim. Book a recent photography graduate or someone new to weddings if you have a tight budget and are willing to take a chance on an unknown. She should run you about $1,000, but expect to do a bit of hand-holding. Music has the power to alter mood and emotion; to create ambiance and unite. Choosing your wedding day musicians can seem a daunting task, with a wide variety in musical styles and performance techniques, how do you choose a performer or band than will best suit your occasion? Our author has played at hundreds of wedding celebrations; each one unique yet sharing some common threads; here’s her advice for choosing the right musicians for your special event. Before the ceremony - as guest assemble in the ceremony venue. The ceremony – as the Bride enters the ceremony venue, the lighting of unity candles, signing the register and as the newlyweds exit the venue. The cocktail reception – as guests clamour to congratulate the newlyweds, as the photographer get underway and as the happy couple and their guests begin to relax into the celebrations of the day. During dinner – ambient background music is the perfect choice. Following the speeches and formalities – music at this point signals the end of ceremony and the beginning of evening celebration. At the evening reception – as the day/evening progresses it is traditional to switch from ambient music to party entertainment either through live music or more commonly a DJ. 3. Choose your songs. Choosing your wedding day music can seem a daunting task. How do you express your emotions without "over doing" it? How do you respect the musical preferences of 2 or 3 different generations? Opting for acoustic music can often help to bridge the gap between intimate ambiance and modern music. The popularity of acoustic music has increased dramatically in recent years with artists across the globe and from all genres finding beauty in abridged expression and produced their intimate offerings. Acoustic music has the power to simplify even the most complex music and deliver a fresh, modern and understated version of your favourite songs. Acoustic musicians are highly talented, they have to be, after all there’s no big backing sound for them to hide behind! Acoustic wedding music brings a relaxed and unique ambiance to your wedding day without overpowering it; remember it is YOUR day, not the musicians showcase! 4. Short list your musicians. Choosing the right style: Acoustic music is extremely popular for weddings because it is unimposing and subtle, can be adapted and is flexible. Other popular styles include Classical or Jazz music played on a piano/keyboard or by string musicians. 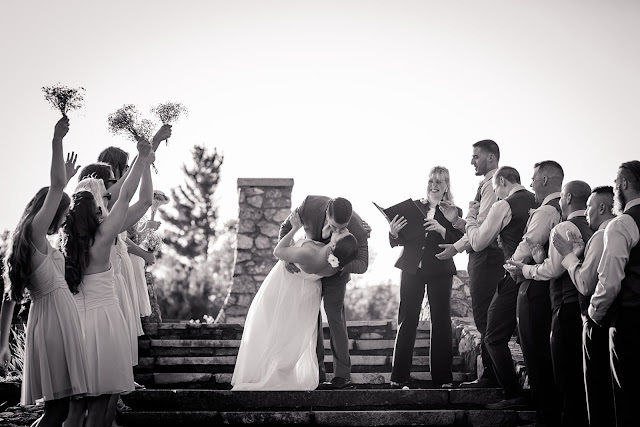 More traditional ceremonies might opt for a solo soprano or tenor singer. When short listing musicians you should have a clear idea of the styles of music they offer and a detailed set list, sometimes called a repertoire. TIP: a larger repertoire usually indicates a more experienced artist(s). It is not unusual for very experienced musicians to have more than 300 songs available and these should cross a diverse range of musical styles. Opt for a professional: Professional musicians should have a detailed website; they’re professional business people! A professional’s website should include the following information: images of them playing live, audio samples of their music and maybe even video samples of their live performance. A detailed set list so that you can see what music they currently play. A simple method of contact. Where and when they work – professional musicians are full-time and will often travel far and wide to get to your wedding! Check out their level of experience – how many wedding have they performed at? Weddings are unique and often a musician has to quickly move from one venue to another – wedding celebrations take a great deal of planning and organisation for the musician – experience matters! Searching for musicians: The web is the best place to search for professional musicians. Use a reputable search engine to help you. Say, for example, you have decided that you want acoustic wedding music and you’re getting married in the Algarve – search wedding music Algarve or maybe acoustic wedding music. View websites, not forgetting to use the pointers above to help you assess whether you’re dealing with a professional musician or not. * Once you’ve found musicians’ websites use this checklist: How many songs and song styles match well to your song choices? Will the musician(s) learn a song especially for you? AVOID ones that won’t. How long do they play for? Weddings are unique and musicians often played extended sets – let’s look at this point in more detail: Say, for example, you want music at your ceremony, at the cocktail reception and through or after dinner, it is very unlikely that the traditional sets of 2 x 45 minutes will suffice. AVOID musicians who stipulate that they play 2 x 45 minute sets! In the example above you would need up to an hour at the ceremony, 60-90 minutes at the cocktail reception and 60-90 minutes during or after dinner – that’s up to 4 hours for the musician; which is why the experienced musician has such a large repertoire! Tips for assessing audio and video examples of a musicians work: AUDIO: do audio samples fairly represent the music that can be delivered? For example: say you’re viewing the website of an acoustic duo – does their music sample have instrument sounds that wouldn’t be appropriate on your day – a drum machine in church! VIDEO: Does the website show video samples of the act playing live? TIP: avoid musicians who position themselves in the front line of your wedding ceremony. This is YOUR wedding day and you should be the primary focus – not your wedding musicians! YOUR day should not be a talent showcase for the musician – ceremony musicians should always be situated at the back of your ceremony venue and not be seen using the alter as a stage area! 5. Contact your shortlisted musicians. Contact information should be readily available on a musician’s website. Give as much detail as you can to ensure you get the most appropriate advice. Minimum information should include the following: Date of wedding , Wedding venue with full address, Time of wedding (musicians need to be at your venue at least 1 hour before you arrive to set up and sound check). When you want the musician to play and for how long. If you have a special request – make sure that they will be able to perform it. How many guests. TIP: not all musicians have suitable equipment for large venues! Don’t be afraid to ask the musician what equipment he has and check the suitability for your venue or wedding party size. Are references available from previous clients? 6. Make your final choice. Make sure you are happy with your selection. Some people prefer to talk in person with a musician – it helps to build understanding and confidence. Prices vary – expect to pay a good duo around £250-£300 for a ceremony only. £450-£550 for a ceremony & cocktail reception and £700 – 900 ceremony, cocktail and either dinner or after dinner music. 7. Keep in contact. Ask for a full set list. Select your songs. Discuss any special requirements. 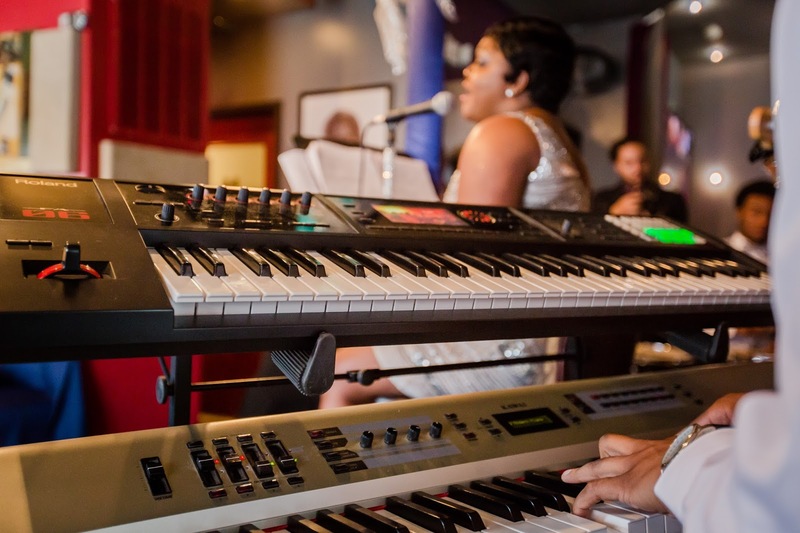 TIP: Leading wedding musicians have played at lots of weddings. Their experience is valuable and readily available. Ask for help and advice when choosing your music. Struggling to decide on a style for your wedding? We’ve compiled a list of the five categories that most weddings will fit into. In the age of Pinterest and Instagram, it can be easy to get confused with the massive variety of wedding styles out there. Believe it or not, most weddings will fit into one of five categories. We offer you to look forward for top wedding photographers and choose the best wedding photographer for your wedding day. You can see our wedding photographer packages and wedding photography prices on our website. Rustic weddings usually take place in barns, outdoors, or at village halls, and have a relaxed, boho vibe. Featuring lots of vintage or DIY details, these weddings are the opposite of a traditional, formal wedding. You can expect to see bales of hay, wooden pallets, kraft paper, hessian fabric, bunting and plenty of florals. Repurposed horseboxes are a big trend for rustic weddings, particularly for bars, and food will usually be in some kind of self-service format such as a buffet or hog roast. Industrial weddings are increasing in popularity. Featuring lots of metal, wire, and geometric decorations, they are usually held in warehouses, lofts, or old halls. Exposed brickwork and wooden beams add to the dilapidated feel of the venue, which is then juxtaposed with soft flowers, contemporary styling, and upcycled furniture. This minimalist style is incredibly versatile and can convert even the blandest venue into an eclectic event space. Whilst a lot of brides opt for unique weddings nowadays, there are still vast amounts that stick with the tried and tested traditions. 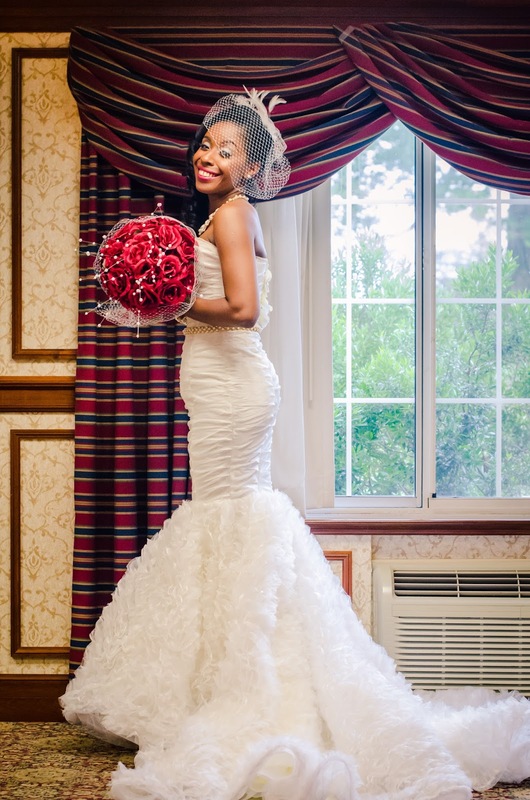 Traditional weddings are exactly what you’d imagine when you think of a stereotypical wedding. Generally taking place in hotels, conference halls, ballrooms, or marquees, at these formal weddings you’ll find a full three course sit down meal, age-old floral arrangements and decorations, and a big beautiful white dress. Festival weddings are for those who want to eschew traditions and stereotypes entirely. The basic concept of a festival wedding is hiring out a field and doing what you want with it, whether that’s setting up a tepee, a campsite, or a full summer fete. There is usually lots of colour in the form of bunting, streamers, floral patterns, and festoon lighting. Food will be served from street food style trucks, and there will most likely be more than one live band. Although the phrase ‘destination wedding’ conjures up images of soft sandy beaches or French chateaux, they don’t have to take place abroad. Generally, though, a couple will opt to go to a foreign country instead of getting married close to home. 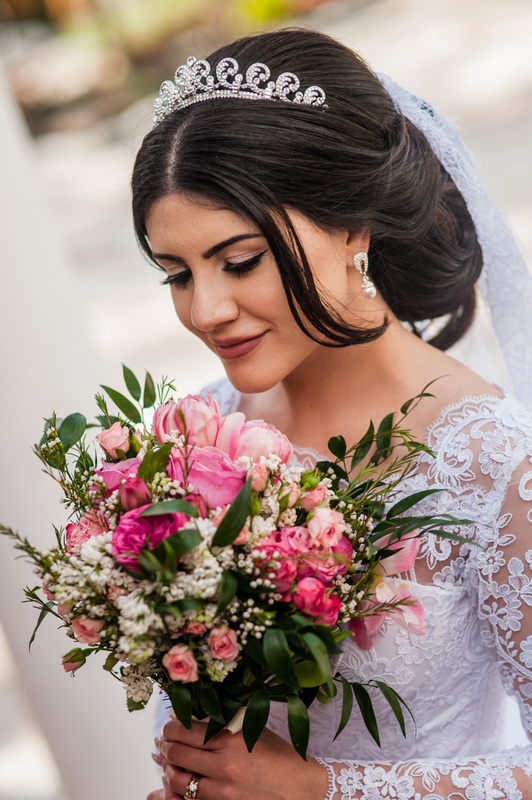 Destination weddings are usually a bit smaller than others, due to the cost involved in transport and accommodation, but are frequently followed by another reception party back at home. When it comes to weddings, there are several people who customarily give speeches or toasts at various festivities surrounding a couple's big day. From the engagement party to the wedding day, there are many opportunities and people who may give a toast, and if you think you might need to give a toast at some point, this article is for you. This article will outline who typically gives wedding toasts, when and where they occur, as well as share tips on how to write the perfect wedding toast, no matter what role you play in the nuptial celebrations. A toast is defined as a ritual in which a drink is taken as an expression of honor or goodwill, so in reference to a wedding, it is a celebratory speech made to congratulate the happy couple who have just tied the knot. 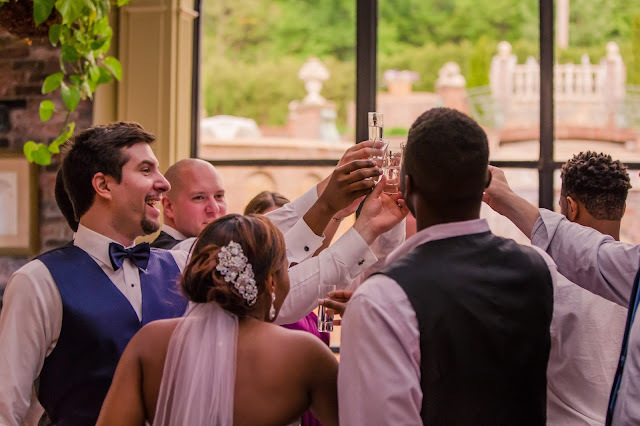 A wedding toast can be given by a number of different members of the bridal party or just by one person, depending on the couple's preferences. Who Gives Toasts at a Wedding? Are you wondering about who gives a wedding toast and when during the celebrations? Check out these links to further information for each typical toast giver. - Best Man - The Best Man is typically the first to make a speech or toast to the couple at the wedding reception. - Maid of Honor / Matron of Honor - Next up in regards to the order of toasts would be the Maid or Matron of Honor. - Bride and Groom - It's normal for the bride and groom to say a few words to their guests and thank them for coming. - Parents of the Bride or Groom -Typically the bride's parents will give a toast, particularly if they are hosting the wedding. When Do Wedding Toasts Happen? Consider the reception timeline when deciding when to give your speech. Customarily the speeches and toasts take place during the reception, during the dinner hour when everyone is seated comfortably. Occasionally toasts will take place during a break in dancing during the reception or near the time of the cake cutting. There's typically an order to keep in mind when it comes to wedding toast hierarchy, so be sure not to speak out of turn. There should be five key parts in any toast: background, an anecdote, comic relief, a turning point, and a conclusion. - Background. Give context by introducing yourself to the room, especially if you don't know the majority of the guests. Even if you do know most of the attendants, this is a good practice so everyone listening has a frame of reference. - Meaningful Anecdote. 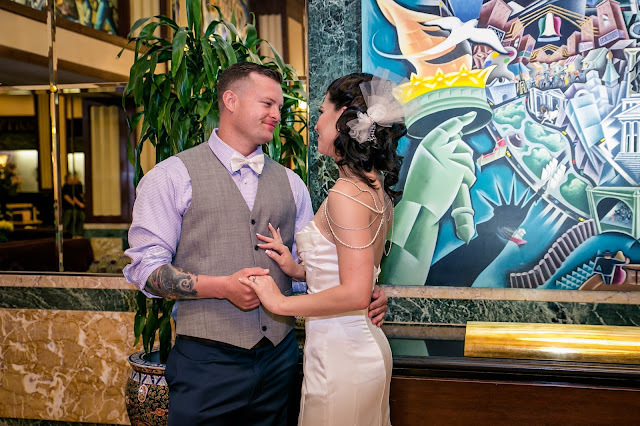 Share some sweet history by explaining to the room how you know the bride and/or groom. Always include both the bride and groom in your speech, no matter who's side of the wedding party you are part of. Share a brief story of how you met and how you came to know the happy couple in their relationship. - Comic Relief. It is perfectly appropriate to be funny and include humor in your speech, but not at the expense of the bride or groom on their special day. Keep it light-hearted and universal when it comes to humor in your wedding toasts. - Turning Point. Share a moment when the couple knew they were meant to last forever, or a moment when you saw ​in your friend that he or she had found "the one." - Conclusion. Wrap it up nicely. Always end the speech with a kind wish or blessing for the couple, and raise a toast in their honor. - Be Brief, but not too brief. Your speech should last less than 5 minutes and should be sure to hold the attention of the audience. - Practice your Speech. Spend time rehearsing, it's better to speak from the heart than to read off a set of index cards. Practice enough to appear natural, but not perfectly polished. - Be sure to smile. You're celebrating two people who obviously mean a great deal to you, so do your best to keep a pleasant look on your face the entire time. - Keep it positive. Share stories or memories of the couple together that are happy and positive. This is a joyous occasion, so leave any sad and heart-wrenching details for another time. - Use only good-hearted humor. Don't share any truly embarrassing stories about either individual getting married. If it's something they wouldn't want grandma to hear, it's safe to assume the story is off limits. - Stay away from inside jokes. If a story you'd like to include falls into "you had to be there" territory, it's best to leave it out of your toast so as not to alienate the other guests. - Stay true to who you are. Don't go for an overly humorous toast if you're more of a sentimental type, and don't go for tears if you're more of a funny guy. Be natural and stay true to who you are and to your relationship with the couple. - Use meaningful quotes. Consider quoting a meaningful line from a movie, poem or book in your toast to hit the heartstrings of the fellow wedding guests. With the help of these tips, you'll be sure to write a meaningful, entertaining and heartfelt toast to honor the happy couple on their special day. Stress is an issue that people deal with on a daily basis. Recognising the warning signs, controlling the symptoms and keeping it at a comfortable distance can be challenging and more and more treatments and preventions are coming to the fore. A significant rise in reported cases of stress related illnesses brought on by debt, work, education and in many instances, weddings, means that some brides are spending the happiest day of their lives, clouded in a fog of anguish and worry. 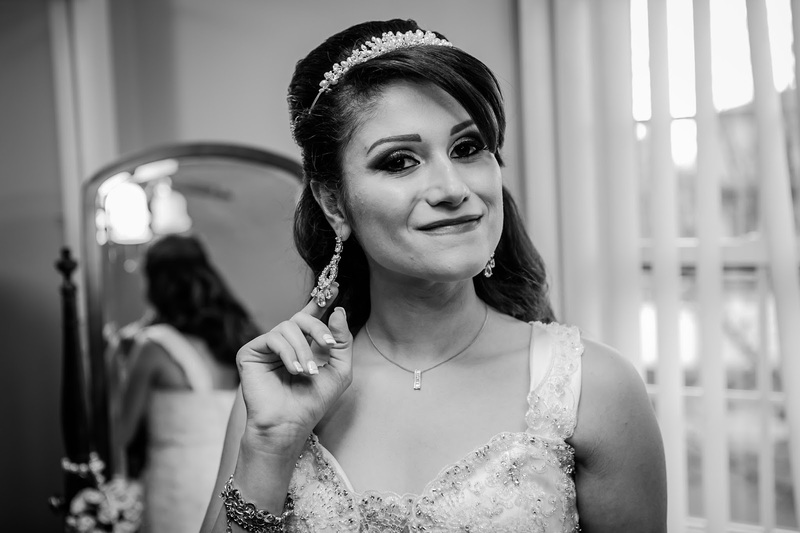 If you are interested in cheap wedding photography we offer you our budget wedding photographers services. We'll make the creative wedding photography and unique wedding photos for you. Write a list and start ticking! Director of Guides for Brides wedding directory, Alison Hargreaves has some essential advice for any bride under pressure. 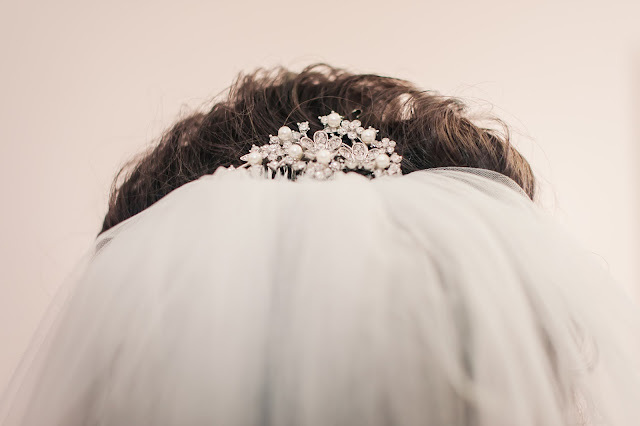 “The cause of many brides’ stress is the feeling that they have forgotten something crucial,” she says. “We always advise brides to set up a task list – there are several really good ones available – and tick things off as they go along. So how does a bride cope with wedding planning stress? Be as considerate and polite as you can with suppliers – it may sound obvious but courtesies like please and thank you are still magic words. Be honest and up-front with suppliers: talk to them. If your budget isn’t equal to your ideas don’t immediately head straight off in search of a cut-price look-alike. Being prepared to let go is also something brides should consider. “It’s totally understandable you won’t want things running awry from what you’ve envisaged but not every guest will know those finer details so if one thing isn’t just exactly how you thought it should be, dare I say this, but it may not matter that much in the bigger picture,” says Jeffery. 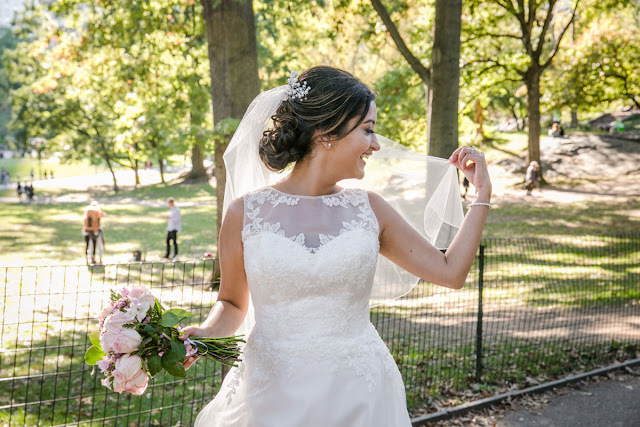 If you want a wedding photography in central park, Brooklyn and New York city we have affordable wedding photographers for you. So what is the answer to coping with wedding planning stress? “I’d say humour, patience and intuition are the qualities I rely on most,” adds Jeffery. “In the early stages of planning, humour’s the best ally: I find countering an unworkable suggestion or making a serious point always works better when it’s sugared with a twist of fun.